George Eliot called her research journals for her novels “quarries,” so I thought I’d do the same for the background material for my highwayman novel, Daring and Decorum. I’m enough of a geek to enjoy the pun in the title “The Highwayman’s Quarry” (yes, my highwayman does have a quarry, in the romantic sense, an innocent young lady named Elizabeth Collington). George Eliot kept her research in notebooks. 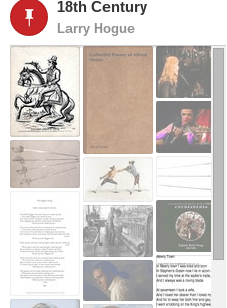 I use notebooks too, but my research also consists of links collected in Evernote and images collected on Pinterest. I’ve also posted an excerpt from the scene in which Elizabeth and Rebecca are watching “As You Like It” at the Theatre Royal in Bath.